Giant flag unfurling on Independence Day at baseball game. Triple A Fourth of July: What else could be better than attending a Scranton/Wilkes-Barre Railriders minor league baseball game on the 4th of July? Well, that would be working there to watch Americana at its best. Scranton/Wilkes-Barre Railriders is the AAA minor league affiliate of the New York Yankees. 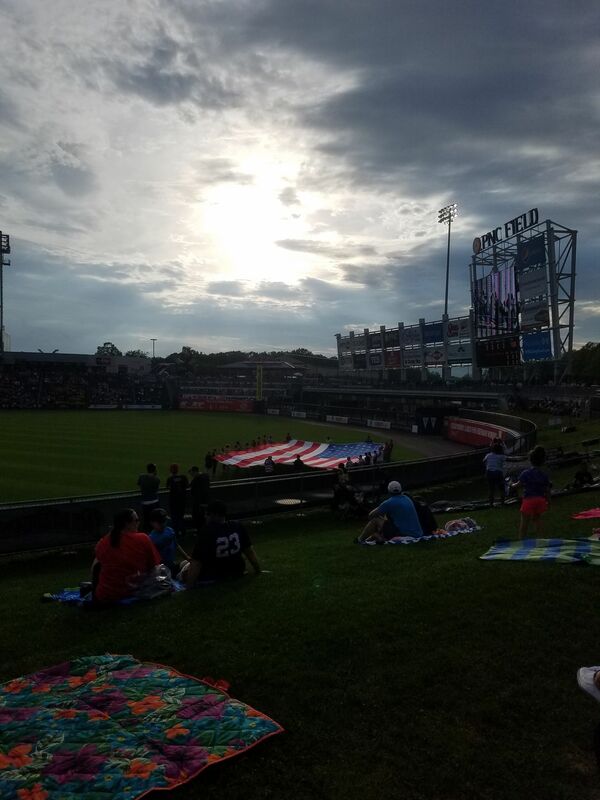 As part of the fourth of July celebration, this large flag was unfurled on field by Railriders staff and fans who were randomly chosen prior to game time. Date Uploaded: July 8, 2018, 10:23 p.m.